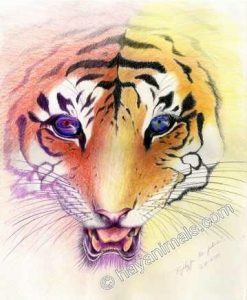 MEDIUM: Coloured Pencils PRIVATE COLLECTION Tigers are on the endangered list and so in one eye is planet earth and in the other the galaxy. Their future lies with us on planet earth. 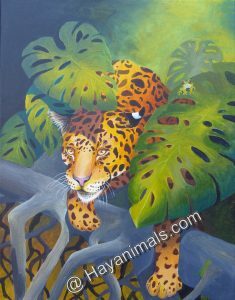 Medium: Acrylic PRIVATE COLLECTION I have a special love for Tigers – they are so aesthetic! I was lucky enough to be allowed to actually touch them. A once in a lifetime experience.experience for sure. 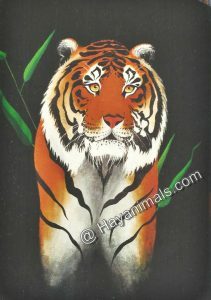 This guy is a Siberian – largest Tiger on the planet.